On the 26th of June, the annual EGR North America awards took place at the prestigious Le Meridien, in Philadelphia. This is the 4th time the online industry has come together. In addition to providing an excellent networking opportunity the Gala rewards excellence in iGaming. And one of the highest regarded trophies is, of course, the Best Casino Platform Supplier of the Year. And this time it went to no other than SD Digital. In fact, not only did SG Digital win the Platform Supplier of the Year. But, they got an honorary mention for the hard work they put in to make SG Lottery’s cashless solution in the category of Best Payment Company. 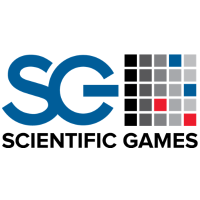 2018 is a fantastic year for Scientific Games. Indeed, the group also made the shortlist for the Best new game (Zeus God of Thunder), the best Payments company, Best product innovation, and Casino content supplier of the year. And grabbing the main prize put another feather in their hat, proving that hard work does pay off. After the event the groups CEO, Barry Cottle said. “We take great pride in using the most advanced technology in the industry to create the world’s best gaming entertainment experiences”. EGR and what’s it all about? In essence, the awards shine a light on service providers and operators that excelled in the past 12 months. Now, all this is done by a panel of independent experts that changes every year. The selection of judges is made with extreme scrutiny and is always kept a secret so that companies don’t attempt to influence the ruling. Every year, the judges analyze the submissions and score them. And if there’s no clear winner, the judges have an open dialog to find a winner or they make an honorary mention instead. Maybe it was the case for SG Lottery’s cashless solution… What do you think?